The Flash Season 3; This installment’s finale episode 23 releases on May 23 and promises an epic battle with Savitar aka God of Speed. It means that he will fight with everything he has against his future self. It will be an epic showdown. Only one Barry will survive and as a result, there will be ramifications. The season’s finale will answer the most anticipated question, Can he save Iris and defeat Savitar or Iris is gonna die and later on, he will defeat the time remnant? Or his journey will effectively be rendered obsolete? It will be interesting to what’s in the store for the viewers. One of the most prevailing fan theories is that finale will eliminate this timeline and revert things as they were before the Flashpoint. If that happens, it would mean that there would be no Killer Frost but Caitlin Snow, no Julian Albert, probably no Savitar. If it has to be done, then it should be done in an absolutely killer way (pun intended) because this journey should leave some significance or teachings for Barry. But, if it is done, then probably there would be consequences of changing the past once again. Would Iris and Barry even be engaged in that timeline? So, it’s clear that the network doesn’t want to give any more hint as of now. Still, there are many questions to be answered and mysteries to be solved. There must be some epic cliffhanger to start The Flash season 4. Well, the big bad for the next installment is already known and it’s not going to be any speedster. Remember, the name Devoe from ‘Abra Kadabra’ episode? This character is otherwise known as the Thinker and will be the next main villain. It also made us think that he already fulfills one of the main things that The Flash wants to achieve next. Let’s not mix things and stay focused on the finale. CW has dropped The Flash S3E23 promo and it seems that Iris is dead. Check out yourself by watching it. It will air on May 23, 2017, at 8 pm ET on the CW. 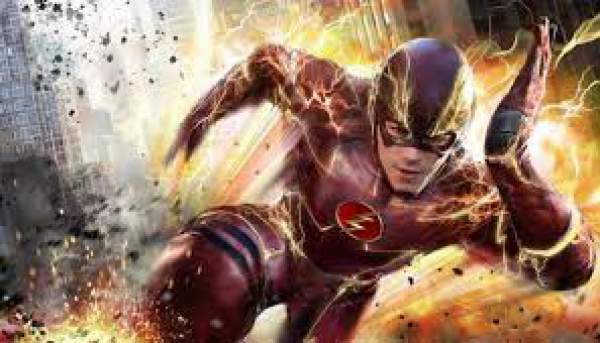 What are your thoughts on how would The Flash season 3 episode 23 will end? Let’s know your two cents. Stay tuned to The Reporter-Times for latest The Flash spoilers and other tv series updates. My Theory is that HR used his camouflage tech from his earth to look like Iris and HR died saving Iris. WOW YOU FRICKIN BLEW MY MIND WITH THAT THEORY! OFMG! IT HAS TO BE RIGHT, Right? Maybe when Savitar threw Iris to the ground and Barry was trying to hit him with the speed gun HR had time to take Iris’s place?? Arrgh you beat me to it… notice how HR glance at the tech after his guilt talk with Cisco. I believe he sacrifices himself for the greater good. feeling the most useless of the team and thus leaving them with the greatest lesson…. But he got upset for leading savitar to iris , so savitar already had her how could he switch places with her and if Argus was so fortified against metas why not keep her there till he figures a way to stop savitar ? I think HR looked at the tech because he remembered it would lead him to Savitar. Somehow he was able to save Iris but I think it’s Joe who die. Joe had a clear shot bit didn’t take it? HR was Joe, Joe was Iris and Barry has to believe Iris is died to trick Savitar. Why would a father let anyone else sacrifice themselves to save their daughter?